Today I have the pleasure to introduce you to an amazing motivational speaker, Devorah Sisso. Devorah is the creator of Breakthrough, a six week mind training program. She is an acclaimed speaker, teacher and life coach empowering her students and listeners to access their inner greatness and take on a path of self growth using the framework of Torah. One of the things that makes Devorah so great and which you’ll hopefully get a sense of, from today’s interview, is that she herself is constantly practicing what she preaches. She’s been in challenging situations in which she sees, “wait I’m sort of in a rot here, something’s got to change,” so when she’s teaching us or talking to us she feels so very authentic and relatable. In the interview we talk about Breakthrough, which is a program specifically designed to help strengthen our emunah (faith) to achieve personal growth. And wait till you hear how Devorah defines emunah for us – it’s not as simplistic as you might thing and once you understand this definition, you can really take on the driver seat of your life. As Devorah tells us in the interview there’s no quick fix, but certainly plenty of things we can do and we should we doing if we want to achieve our full potential. 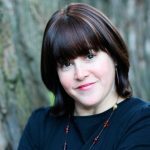 You’ll love the two things that she habitually works on as well as her words of wisdom regarding Shalom Bayit- peace in the home, Parenting and Personal Finance. Here’s Devorah Sisso. Enjoy the show! You can find Devorah at www.devorahspeaks.com.